Trendy districts in the Mallorcan capital include Monti-Sion and Santa Catalina. The old town remains permanently popular together with Portixol. The lawyer, who specializes in real estate, loves to walk through the relatively small and quiet old town after work where you can go from one bar to the other throughout the evening, eat tapas and meet interesting new people. 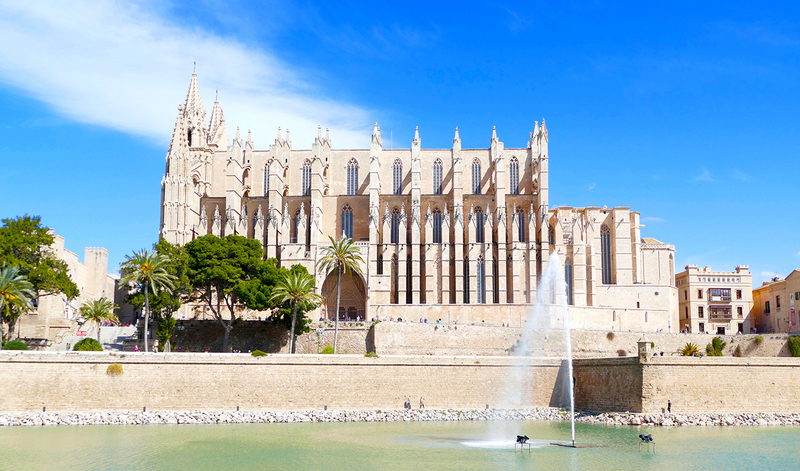 The cathedral is the symbol of Palma, but Mallorca’s capital has much more to offer. He recommends, among other places, the restaurant “Casa Gallega” and the bar Flexas in the street of the same name which has a small but very good menu with interesting little things to eat. 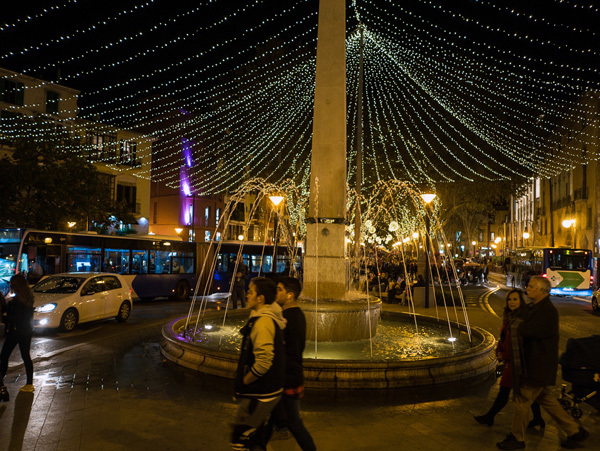 Wirth also exorts Mallorca fans to come to Palma for Christmas: – “The illuminations are simply very beautiful and the atmosphere is very relaxed”. In the old quarter, for example, where countless Mallorcans and residents are out and about. At Christmas time the Passeig Born is festively decorated and illuminated. says the man who comes from Lübeck. On the Passeig des Born, where the 50-year-old has his office, the Mallorcan capital is at its liveliest but rents here are also in the luxury sector. says Wirth. Rents, however, have stabilised over the past two years according to official statistics. 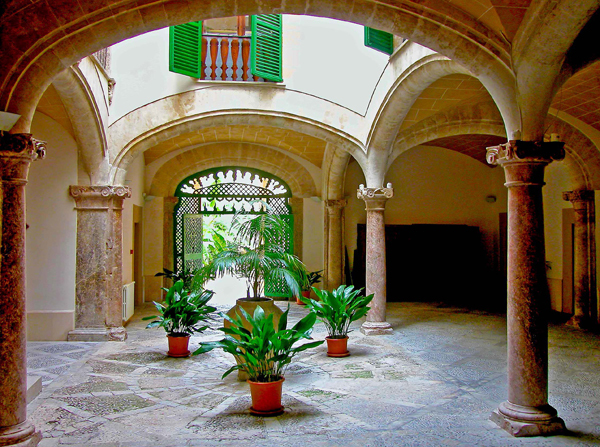 Old town palaces and patrician houses in Palma are coveted investment projects. Often they are luxury renovated and sold as single apartments again expensive. Wirth is completely satisfied with the exclusive location of his legal practice, which he found many years ago. Not only is it easy to find for his clients, and his staff are close to an Italian ice cream parlour, a café, shops or a snack for lunch, but Wirth can also watch the traditional Three Kings procession on the evening of 5th January, as well as all the other celebrations, from his balcony. Nowadays the renting of balconies for such occasions has become a real business in Spanish towns, a fact which numerous property owners in Palma have already discovered for themselves. From balconies like the one at Wirth’s law office more and more civil protests could be observed during the past year and increasingly these have to do with mass tourism which mainly affects Palma. Annoying the traders and residents are particularly the many cruise ships. “Because of the cruise tourism the city becomes literally overrun for a few hours by thousands of cruise guests who do not help the gastronomy as they are all-inclusive tourists and block Palma for hours”. says the management consultant who is involved in numerous tourism and environmental projects. Palma is a popular destination for Mediterranean cruises. In 2018, 844 of these floating giants docked at the harbor. Closely related to this is the problem of mobility: rental electro-boards, bicycles and scooters on footpaths and streets in Palma are causing chaos, and after various accidents involving pedestrians the local government is attempting to restrict their circulation by introducing new laws. ”The town is ideal to enjoy a Saturday with a visit to the theatre, good restaurants and music”. She loves to go with her daughter not only shopping, but also through the Jewish or Arabic districts. 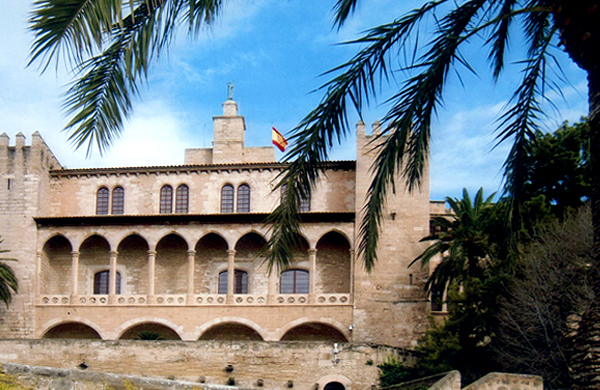 ”Many people are not aware of this aspect of Palma”. says the 49 year-old who has chosen to live in Mallorca. ”Particularly at Christmas time it is very musical here”. The Christmas mass is held in German and songs from all over the world are sung. This year the soprano Waltraud Mucher, the trumpeter Jose Miguel Asensi and the organist Klaus Sehling brought the Christmas feeling to the congregation and Carson Cooman, an organist from Harvard university in the USA also joined in. Thanks to the 13th century cathedral Mallorca’s capital is far more than just a shopping location for tourists during bad weather. Nowadays not only wealthy people from Hamburg and Munich can be found strolling through the alleys around the imposing building – called simply ‘La Seu’ (the seat of the bishop) – but also artists from all over the world, both in summer and winter. 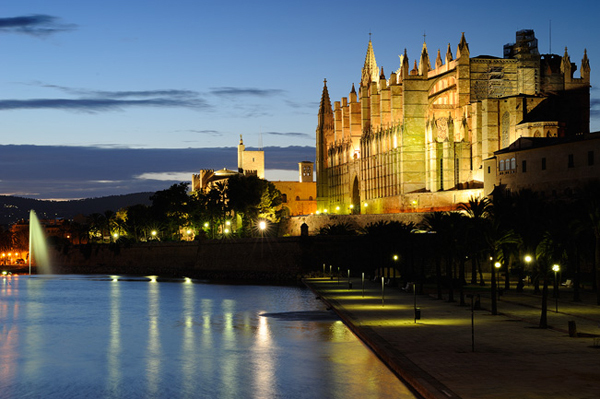 By day, Palma’s cathedral is already impressive, but at night, brightly lit, its sight is just too overwhelming. Sandra Seeling Lipski is one of them. She is a German actress born in Berlin but who grew up in Mallorca. Seeling Lipski commutes now between the island and L.A. where she is married. The actress is the organiser of the Evolution! Mallorca International Film Festival (EMIFF) which for a few years has taken place in Palma once a year in autumn. This year the festival takes place for the 8th time from the 24th to the 30th October. With her festival Seeling Lipski profits not only from the enormous international attractiveness of the island but also from the money which is located there. She can only finance her film festival through sponsors, and wealth abounds in Mallorca. Actors and producers come not only because of the film festival, but also because Palma has become a networking centre. Districts like Portixol are very popular with festival-visitors, and rents for small apartments with beach locations have already risen to over 2.000 euros per month. With holiday rentals an overnight stay in a 2-room apartment can cost from 200 euros. The former fisherman’s district Portixol, which still possesses its village structure, has gained enormous momentum over the past years. Here there are small creative hotels and cool beach bars, but also long stretches along the sea for skating, cycling and jogging. 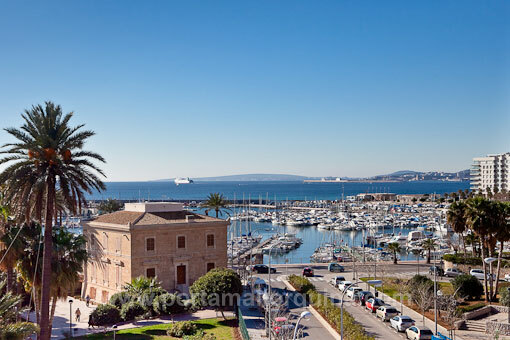 The former fishing district Portixol is now one of the best addresses of Palma. Although quite close to the tourist hustle-and-bustle of Playa de Palma and Arenal mass-tourism is hardly noticeable. The houses are small and attractive, but those seeking a property here will not find it easy – on the first beach line there is hardly anything for sale, and what can be found will certainly not be priced at under a million euros. Further back the district is, of course, cheaper but not so desirable. Those who are looking for somewhere more colourful and livelier than Portixol are in the right place in Santa Catalina. Here there are objects available for under a million euros, due to the fact that this used to be a traditional workers district with many immigrants. All around the weekly market life is still relatively cheap, but everything that gets closer to the sea is once again a half a million euros up to prices of 2.5 million. says Wirth. The ‘Mercat de Santa Catalina’, specialising in tapas, is the pulsating heart of this immigrant quarter and surrounded by countless cafes, bars and extravagant deco-shops. Normally Mallorcans go to the market at around 13.00, and drink a convivial glass of cava, a vermouth or a glass of the ever-popular local white wine. These are served accompanied by tapas and afterwards those who want can go to the local afternoon disco, slightly tipsy. Those who do not want to drink and eat while standing, but prefer to sit comfortably, can try the nearby international in-restaurant ‘Duke’, which advertises the fact that it has no specific style but is simply a mix of many themes. Those seeking a property in the trendy areas of Cort around the Placa Cort, or Monti-Sion in the centre of Palma should be ready to put large sums on the table – although up to now not too many tourists can be found in these areas as there are not too many bars and restaurants. House prices, depending on location and with or without sea views, can go as high as 13 million euros. If you go from the Placa Cort around the old town hall, across the Placa Santa Eulalia and to the east of Palma you will reach the Monti-Sion district with its lively art scene, enchanting courtyards and tranquillity. The harbour is right opposite so that some apartments offer views of the sea. To rent a penthouse apartment for the holiday season here above the roofs of Palma you will need to pay between 100 and 350 euros per day, starting in May. The renovation of the old apartments, however, was carried out in the most part with such attention to detail that they have very little in common with standard Airbnb apartments which are often notorious in Palma and are nowadays hardly on offer. Those who are drawn to the old quarter of Palma, either as house-owner or tourist, are naturally surrounded by bars but also by rubbish and noise at the weekends. The narrow alleyways are not passable by car and there are no parking possibilities on the streets, and it is even very difficult to navigate anywhere by bicycle. Netty Karabuth loves it in spite of all that. She has lived in Mallorca for a long time and recommends a visit to the ‘Mercado de San Juan’, a gastronomic weekly market in the old slaughterhouse ‘S’Escorxador’ in the heart of the town. Like in Madrid this was planned to become a culture centre – ”that did not really work”, Wirth reveals. Instead, however, good authors’ films are presented in its old halls. ”every day from 12 :00 in the morning until midnight there is action, at the weekends until 04:00 in the morning”. For the 45 year-old Palma’s beach promenade is also very attractive as a place to live and go out, and here one of her favourite discos can be found – Titos. 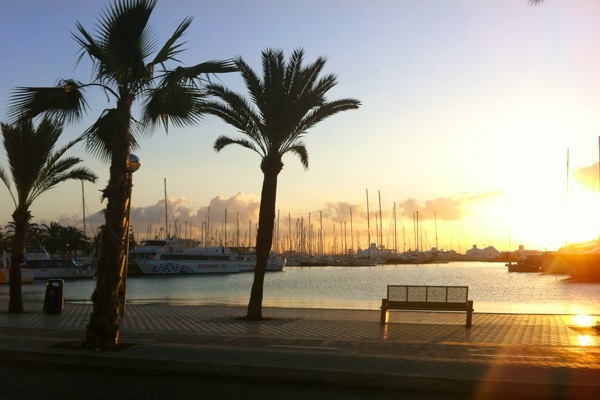 It is so quiet on the Paseo Maritimo only in the early morning hours. Opposite the hundreds of yachts from all over the world and the occasional cruise ship is also the world-renowned Capuccino cafe, which also has branches in various parts of Palma and Mallorca, including on the Passeig des Born. Here the service is first class, as are the prices. ”Those who rent to locals and not to tourists should be aware that many will not be able to afford the rental prices in the future with their current salaries. You should not speculate with long-term tenants”. 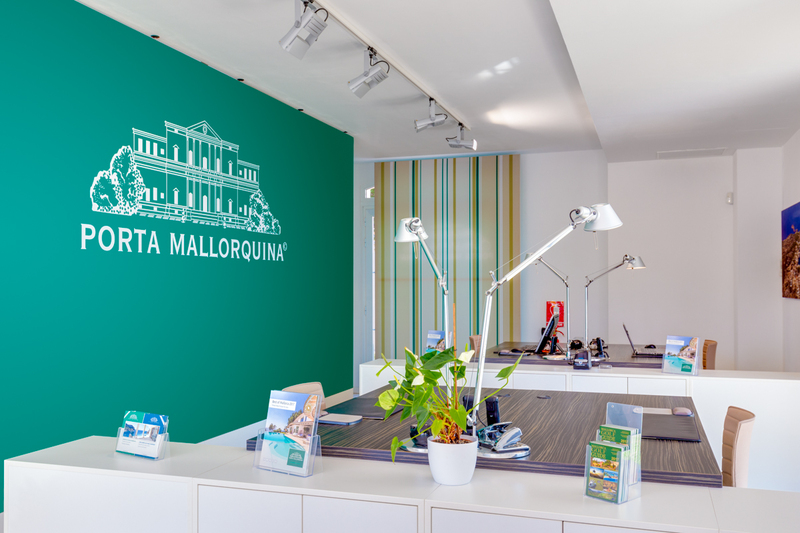 Porta Mallorquina sales director Thorsten Kaiser confirms the popularity of the capital with investors, and especially the west part with Santa Catalina, El Terreno and Bonanova is very popular with foreign buyers. 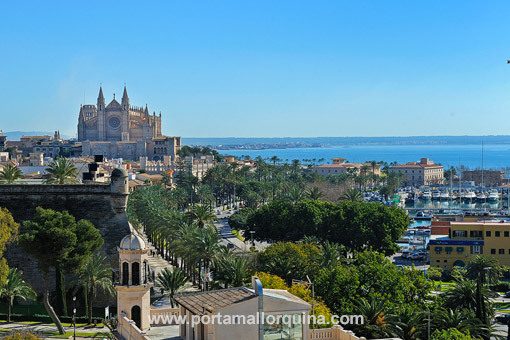 Due to the high demand Porta Mallorquina has divided Palma into two sales areas. 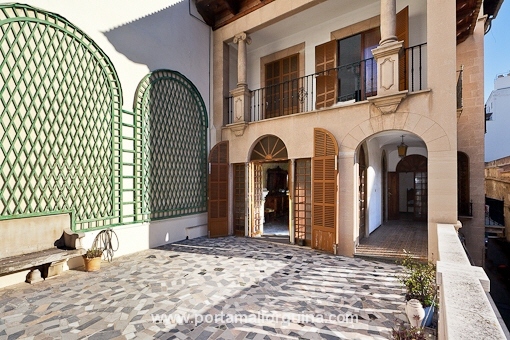 The real estate shop on the Calle Conquistador takes care of the old town and the eastern part as far as Marratxi in the north and C’an Pastilla in the east, and the area in the west to Cala Mayor up to Son Vida has become another sales region. Maxi Kümpel and Kent Steinbach are franchise partners for Palma-West, and by autumn a further real estate shop on the Paseo Maritimo should be open.